“The future of urban transportation requires close partnership between regulators, cities, authorities, and the private sector. 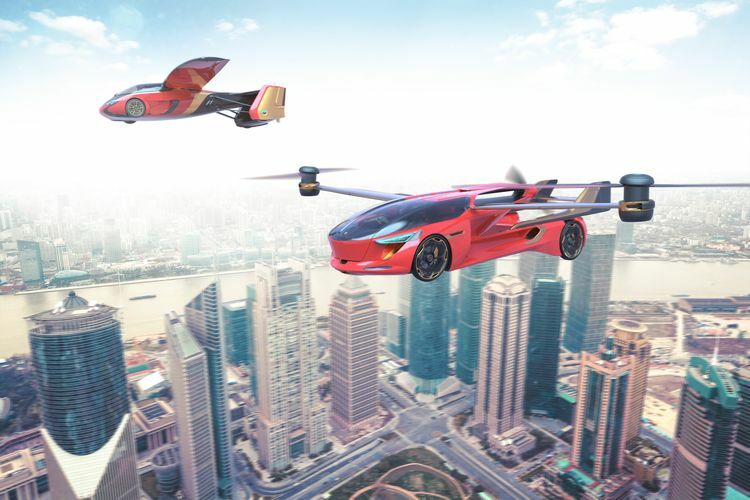 AeroMobil is closely working with cities around the world to establish opportunities to test, develop, and implement routes for safe personal transportation in the sky,” says Jonathan Carrier, vice president of corporate development of AeroMobil in Slovakia. The AeroMobil 5.0 Sky Dragon demonstrates the potential provided by VTOL technology. The 5.0 electric VTOL or eVTOL design continues AeroMobil’s strategy to develop vehicles with fly-drive capability to provide seamless door-to-door journeys with the added convenience of vertical take-off and landing. The AeroMobil 5.0 has been specifically developed for inter-urban and intra-city personal air transport, including as a shared means of transport, to provide a premium limousine service in the sky. The AeroMobil 5.0 Sky Dragon features two electrically driven rotors to ensure safe vertical take-off with horizontal thrust being provided by an electric-powered, rear-mounted propeller. Each of the four passengers seated inside have access to a personalized inflight entertainment system.